These salads are meant to be just part of your herbivorous reptile’s total diet. They should be served along with dark, leafy greens (escarole, dandelion, mustard, collard) and when appropriate, supplemented with insects for more omnivorous species. 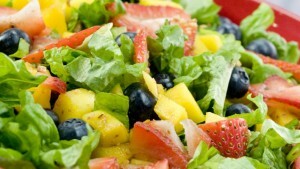 1/4 cup minced, raw fruit (figs, berries, melons, mango, cherries, etc. Mix vegetables, fruit and alfalfa well. All flowers must be food grade bought at specialty food stores. Do not serve wild plants as they may contain pesticides or other harmful chemicals. Disclaimer: These recipes are meant to be used as treats only, not as the primary diet of your pet. Do not substitute avocado, chocolate, or products with caffeine or alcohol for any of the ingredients we recommend. Consult your veterinarian if you have any questions.